This section of the course explores understandings of the terrestrial realm from the ancient Greeks to Isaac Newton. We will cover the physics of the terrestrial realm, the rise of experimental methods, alchemy, voyages of exploration, and European encounters with indigenous knowledge systems. 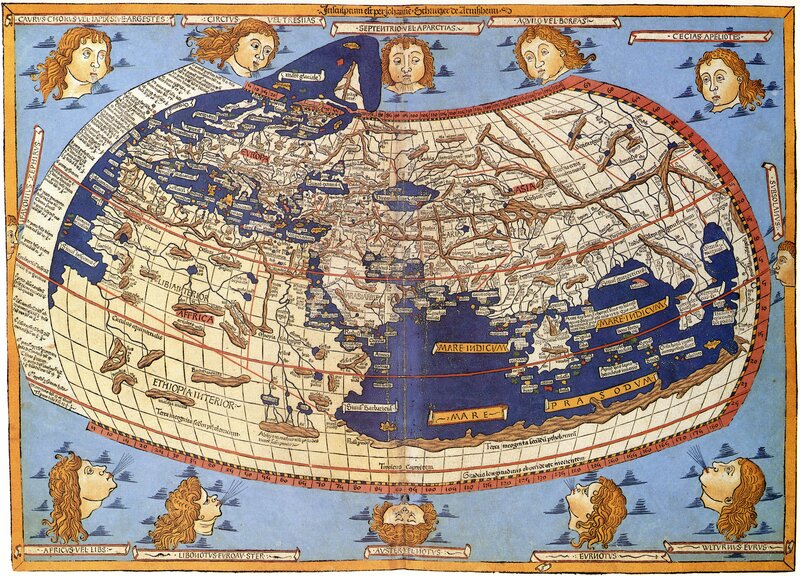 Ptolemaic map of the world. Wikimedia Commons. You will find links to each of the topics in this section below.